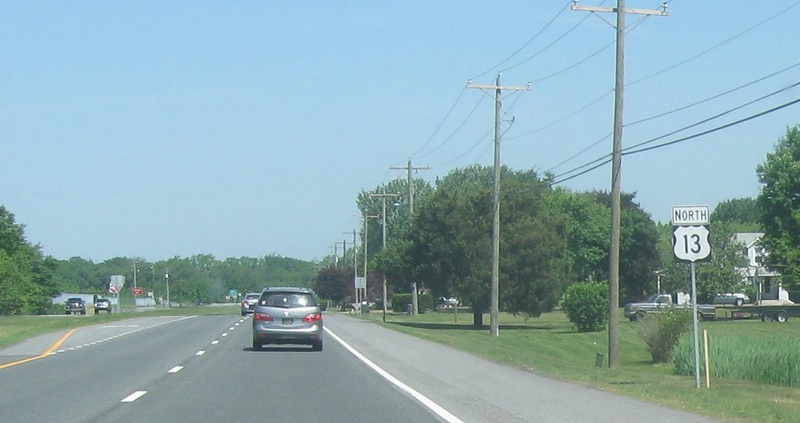 Reassurance shield after DE 1. 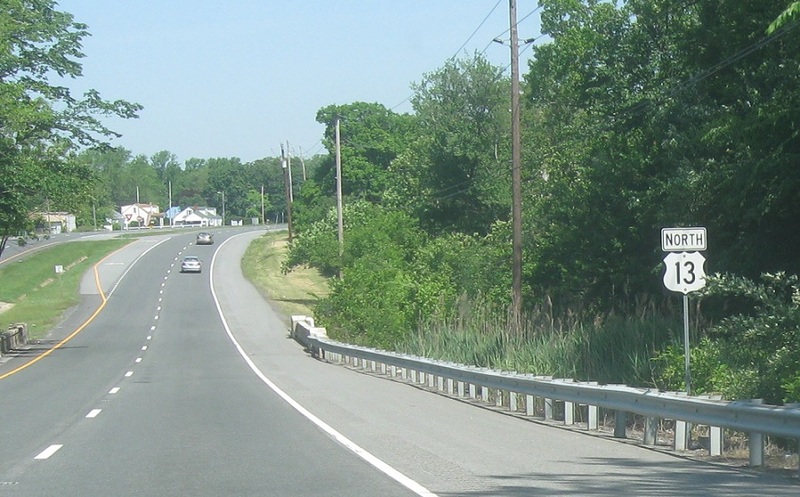 A mile later, we’ll cross back over DE 1 without interchange and get another reassurance shield. 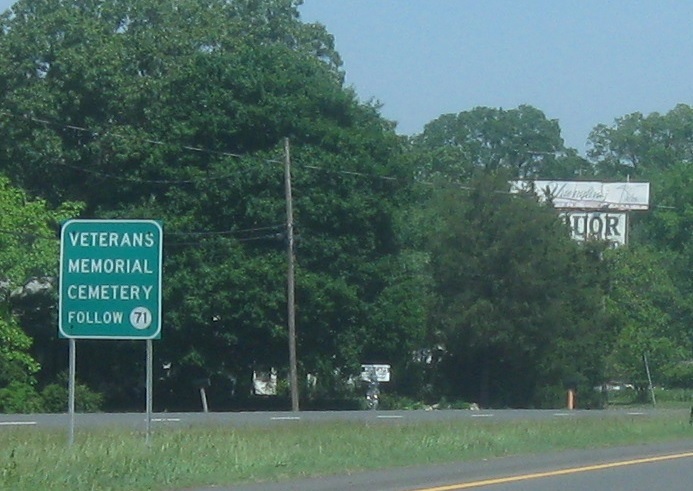 Less than a mile later, we’re advised to follow DE 71 for the Veterans’ Memorial Cemetery. 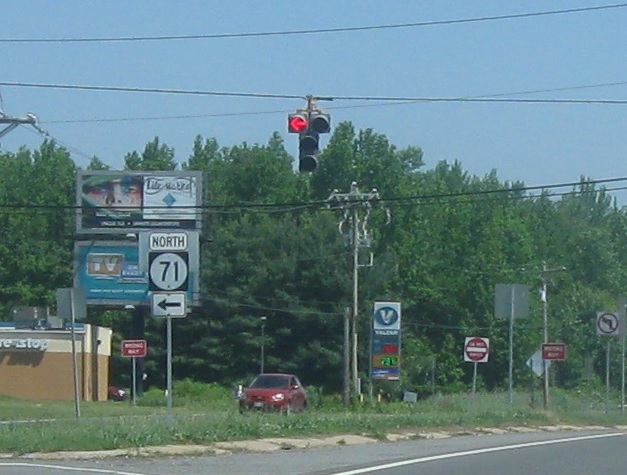 At the light, we’ll approach DE 71. 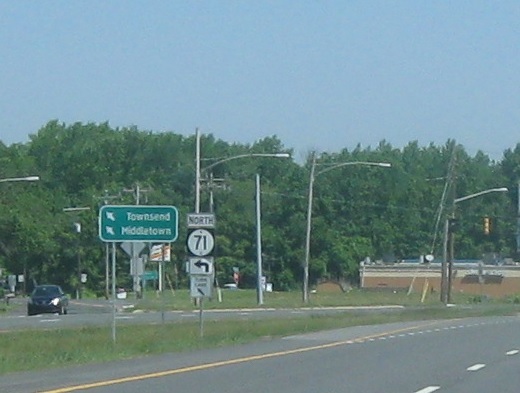 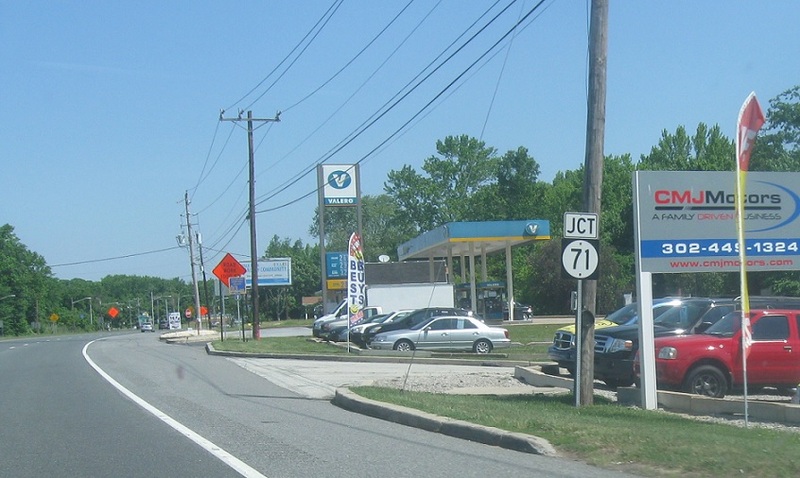 Follow DE 71 to Townsend and Middletown. 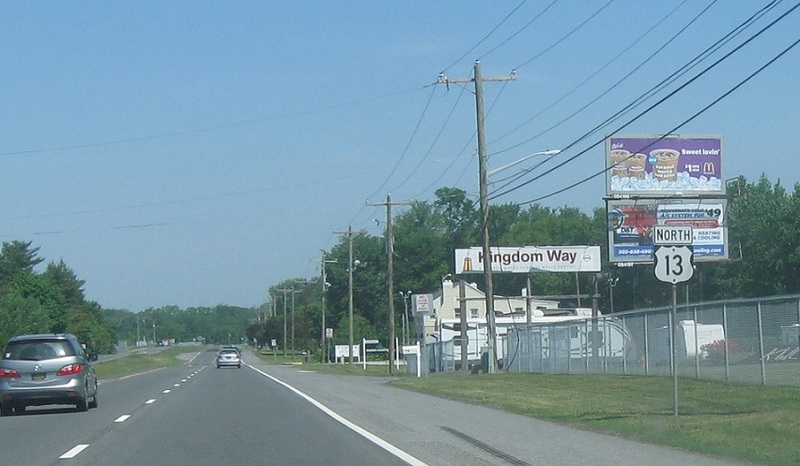 Sign on the other side of the road. 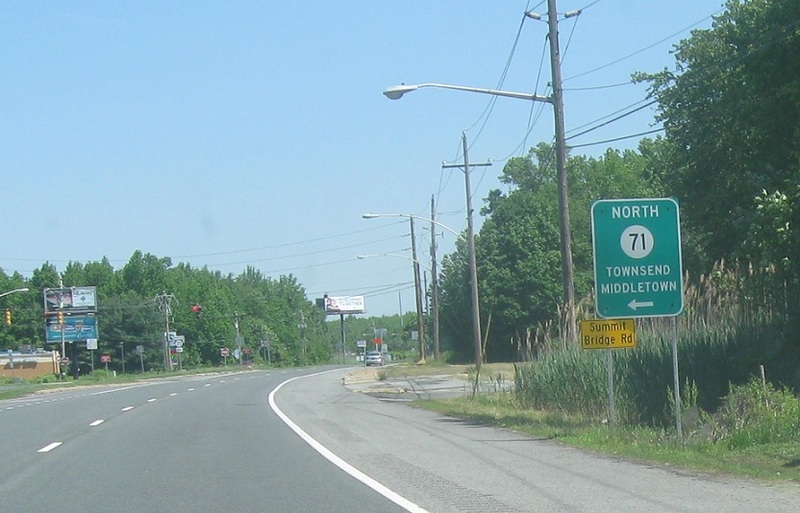 Turn left for DE 71 north, which heads all the way up to Newark.